My return to Portugal was the longest gap between my first and second visit to a country to date. I first visited Portugal way back in 1981, with my Mum and Dad. 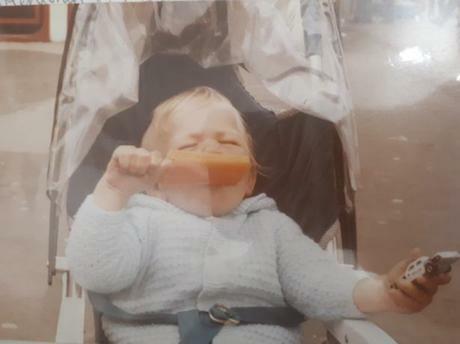 I was only a year old at the time. That made Portugal my first ever country outside the British Isles! 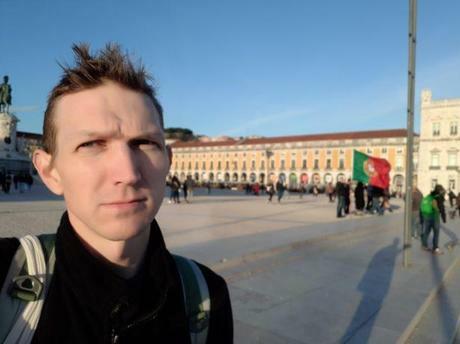 I have now been 4 times to Portugal and will plan to go back again, possibly on route to Azores, Angola and Cape Verde, mostly for ease of flights and if I ever complete the mission to backpack 200 countries by the age of 40 (I have exactly 2 years and 20 days to complete this). I toured Lisbon before and I am also keen to tour Porto next. Porto private tours and Lisboa free tours are easily booked in advance of your trip. But I waited a whopping 36 years between my first (1981) and my second (2017) visit to Portugal! Once I was finally here, as an adult, I set off on a 36 year long quest to find my police car. It was a police car I lost in 1981. 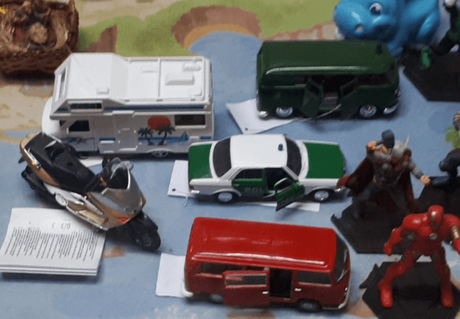 Here’s the story of my police car. 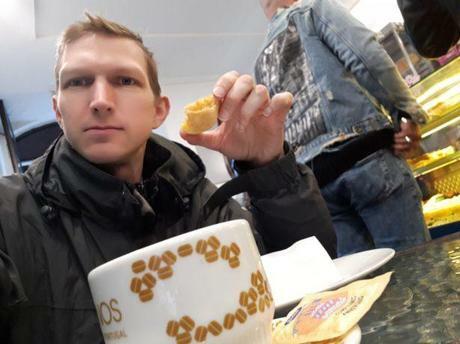 On my return to Portugal, I was backpacking it and so I decided to stay in the Central Lisboa Backpacker’s Hostel which was located well and a cosy place to be based while touring the sights. 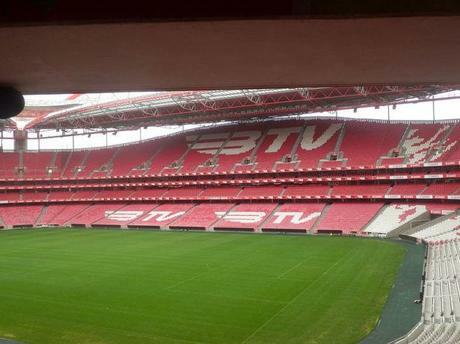 Two things that I was really keen to see were the Sporting Lisbon and Benfica football stadiums. I also wanted to ensure that I tried some Portuguese beer and wine, as well as indulging in some of the famous food types here. This post is a short overview of some of the things I loved about being back in Lisbon, Portugal. 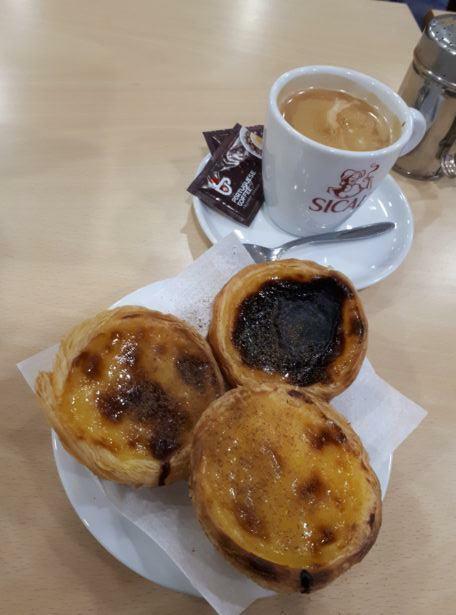 These famous Portuguese Egg Tarts are delicious and you must go to the original and best venue to try them – Pasteis de Belem. 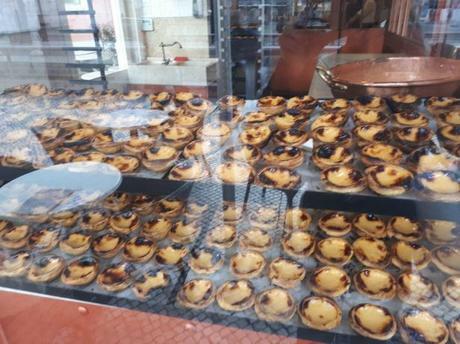 Expect long queues but once you finally get inside and get served – this is an experience to never forget – head to Pasteis de Belem. 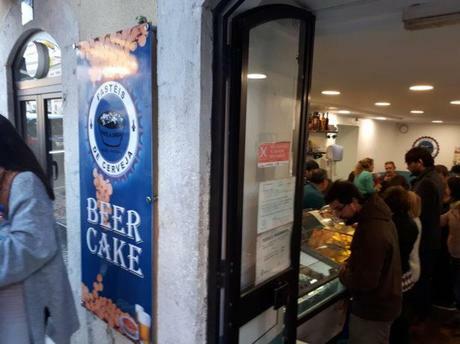 I like beer and I like cake, so of course I headed to the seafront at Belem in Lisbon to try this tasty idea – beer cake! It’s also on the same street as the egg tarts so makes for an easy double header to check out. 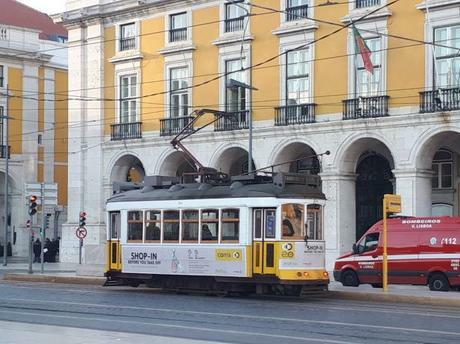 3.Using the Legendary Lisbon Trams Lisbon is famous for its tram systems, many of them wind their way up and down the steep roads of central Lisbon. 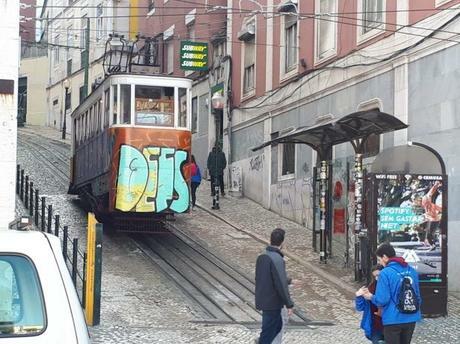 There’s a good bus and metro system here too in Lisbon, but the trams are the most famous and legendary. 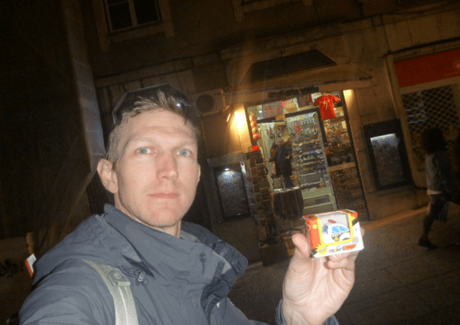 So I spent hours scanning the streets of Lisbon, visiting toy shops in search of my Police car. The story was that back in 1981 I had a police car in Portugal. 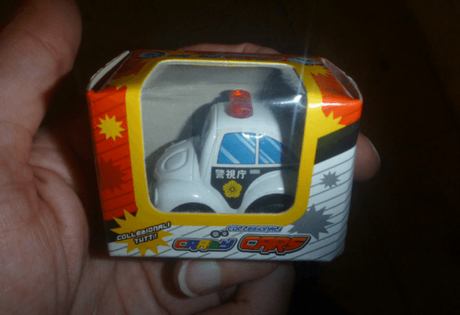 I am holding the said police car in the below photo. With my police car back in 1981. Again I was after some football tourism and Lisbon boasts quite a few clubs. The most famous two clubs here are Benfica and Sporting Lisbon – they both have huge stadiums and an important history. 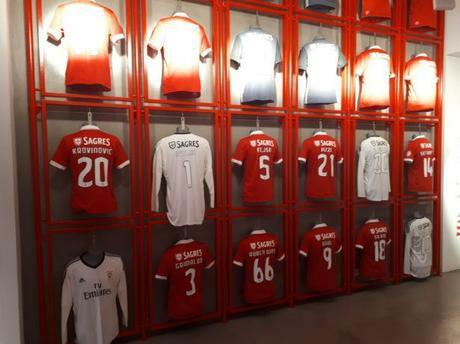 Benfica are former winners of the European Cup (now called the Champions League). Benfica also once played my team Glentoran, drawing 1-1 at the Oval Grounds in Belfast and then drawing 0-0 here in Portugal, meaning they went through on away goals. The other team however is famous because recently Cristiano Ronaldo played for them – Sporting Lisbon was his first professional club. As well as touring the stadiums, watching a match and checking out the club shops, you can also watch matches in the bars of the city. 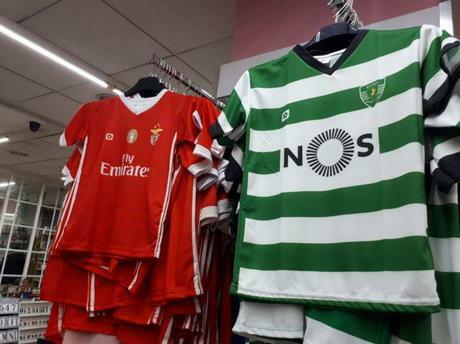 Sport Lisboa Benfica (red) and Sporting Lisboa (green and white) shirts.